Total Life Changes’ Iaso Tea Reviews – Can You Really Lose 5 Pounds in 5 Days? This is one of our Iaso Tea Reviews to give you some important details about the tea. We know that a lot of our excess weight is caused by our poor lifestyle, eating too much processed foods, and not getting enough exercise. However, it also seems as if we are fighting a losing battle. We are so surrounded by environmental pollutants that it has become almost impossible to get healthy even if we try to. Unsurprisingly, product manufacturers have seen a huge potential market for weight loss products. One such product is Iaso Tea, which is manufactured by Total Life Changes (TLC). But just what is this product and does it work? There are 3 Iaso Tea Reviews questions I’m going to both ask and answer. Iaso Tea Reviews Q1: What Is Iaso Tea? Iaso Tea It is essentially an herbal tea that contains 9 ingredients that work in synergy with each other to help cleanse your digestive tract. By drinking the tea twice every day, your body and digestive system can rebalance itself, by ridding itself of toxins, fats, parasites, and even worms. Weight loss, according to TLC, is the inevitable result of doing this, because it means your digestive tract is able to absorb proper nutrients. Iaso Tea Reviews Q2: What Is in the Tea? Persimmon leaves, which are a natural cleanser that have been used in Chinese medicine for millennia. They are known to contain flavonoids, vitamin C, choline carotenoids, amino acids, rutin and tannins. Marsh mallow, or Althaea officinalis, which is an anti-inflammatory that helps to improve overall health and lowers the risk of diseases. Malva leaves, or Malva verticillata, which work in the same was as the marsh mallow. Holy thistle, which was used in Europe during the Middle Ages to try and fight the plague. Today, scientists know that it cleanses the system by working as a diuretic. Papaya leaves. These leaves have been part of ancient Polynesian medicine for thousands of years to improve the skin. It is also a diuretic. Chamomile, which has been used to fight stomach cramps in many ancient cultures. Scientists have also discovered that it works to fight anxiety. Ginger, which reduces stomach cramps and aids digestion. It also gives the tea a nice spicy edge. Myrrh, which can kill various bacteria by working as an antiseptic. It is often used in dental offices as a rinse to get rid of oral bacteria. Blessed thistle, which is a type of holy thistle and hence has the same benefits. Unfortunately, there is no information available on the dosage of each of the ingredients in the Iaso Tea. 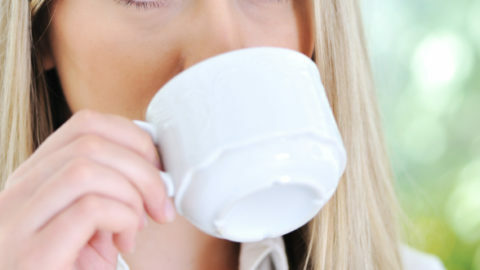 According to TLC, you should consume 8 ounces of the tea twice daily for maximum benefits. They claim that, by following their instructions, you could lose as much as five pounds in just five days. You will receive your product in a package, with each package containing two bags. Once you open the package, you should use it to brew your tea immediately. It is up to you how and when you will drink the tea. While it is recommended to take it in two 8 ounce servings, some people actually spread a total of 16 ounces throughout the day. Boil four cups of water, and leave them to cool for a few minutes. Add two bags of Iaso Tea to the water and leave it for eight hours. Get a container that holds one gallon of liquid and add the tea to this. Then fill the container up with regular water to have a full gallon. You can either remove the tea bags, or you can leave them in to make the flavor stronger overtime. Refrigerate the tea and drink as and when you feel like it. You can reheat this tea if you prefer it warm, but you should do so in a pan and never in a microwave. It is made of all natural ingredients. While described as a ‘miracle tea’ that can make you lose 5lbs in 5 days, it is actually more of a health tea. It addresses various problems inside your body, making you healthier overall. The fact that this helps you to lose weight is simply an added bonus. It is a very popular product that can be purchased in some 140 countries worldwide. TLC is a respected company that has received many positive reviews. You can drink the tea in different ways and you can even use the leaves in your salads or cooking afterwards. The tea tastes really good, particularly thanks to the addition of ginger and chamomile. It is quite expensive, considering the tea is consumed. It has some side effects when your body starts to detox. This is perfectly normal and not harmful, but you do need to be prepared for these. Side effects include more frequent urination, foul smelling, loose stools, gas and bloating, and headaches. The health benefits that TLC claims are pretty impressive. They are also supported by scientific evidence, as it is a known fact that the individual ingredients found in Iaso Tea actually do what TLC claims they do. As such, while it is marketed as a weight loss tea, I prefer to look at it as a full health tea. Yes, you will notice some side effects at first, including more frequent urination and changes in your stools, but those are signs of the product actually working, as these are caused by the removal of toxins from your body. Overall, I fully recommend this product to anyone who wants to lose weight and/or feel better quickly while getting healthier over time. TLC offers a 100% satisfaction 30 day money back guarantee. So if you don’t lose the weight or simply don’t like the tea, then TLC will give you your money back… even if you have already consumed all the tea. Ready to experience the Iaso Tea for yourself? If you’re like most people I know you’re frustrated when it comes to finding a weight loss system that actually works.In fact, even if you’ve used other weight loss products in the past, you were more than likely disappointed with the results. Because there’s a new, simpler and more powerful way to effortlessly eliminate stubborn body fat with —America’s #1 Weight Loss Tonic… Iaso Tea! YES the rumors are TRUE! You can finally successfully shed your unwanted pounds and inches while destroying your stubborn fat… once and for all.